The organizer of the Festival appoints the jury members of whom one is the President of the jury (International Jury). To review all the works that entered the competition and to declare winners according to the propositions and expert estimates – presenting an expert commentary and a written decision signed by all members of the jury. The Festival jury decision shall be unanimous, or if otherwise, shall be brought by the majority. The decision of the jury cannot be appealed upon by the participants of the Festival. The jury will get to see films previously selected by the festival team who has determined that the films have met the requirements of the festival. The jury will watch them and compile a list of films that are nominated for one of the awards. The films that are selected will be screened during the three-day festival. Đelo Hadžiselimović (58), as one of the chief editors of the Croatian national radio and TV station, is in charge of the foreign program selection. 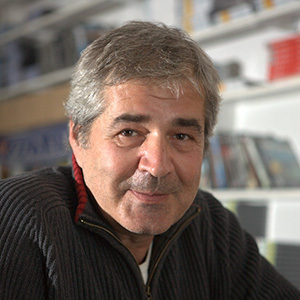 Appearing under the title slogan „Selecheted by Đelo Hadžiselimović“ , his choices of worldwide documentary serials and programs are long ago regarded as a brand. This so far, that the slogan is being used in many other cultural activities: in the Theater for the blind, by the music group STillness and so on, under the expression „All I know about life is – selected by Đelo Hadžiselimović“.